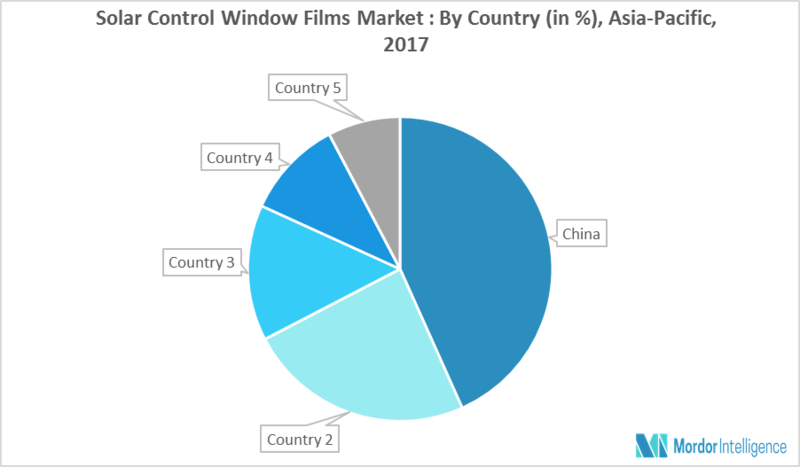 The Asia-Pacific solar control window films market is expected to grow at a significant rate during the forecast period (2018 - 2023). The market is expected to increase rapidly in the emerging economies due to the increase in demand from the real estate sector. Feb 2018: Vacuum Depositing Inc., a fully owned subsidiary of Lintec Corporation and a leader in the roll-to-roll deposition of evaporative, sputtered, and dielectric coatings on flexible substrates, announced an expansion of its manufacturing capabilities under the leadership of a new management. Major Players: 3M, Saint Gobain, Eastman Chemical Company, Polytronix Inc., and Purlfrost, among others. This report can be customized to meet your requirements. Please connect with our analyst, who will ensure you to get a report that suits your needs. 8.10 Solar Control Films Inc.